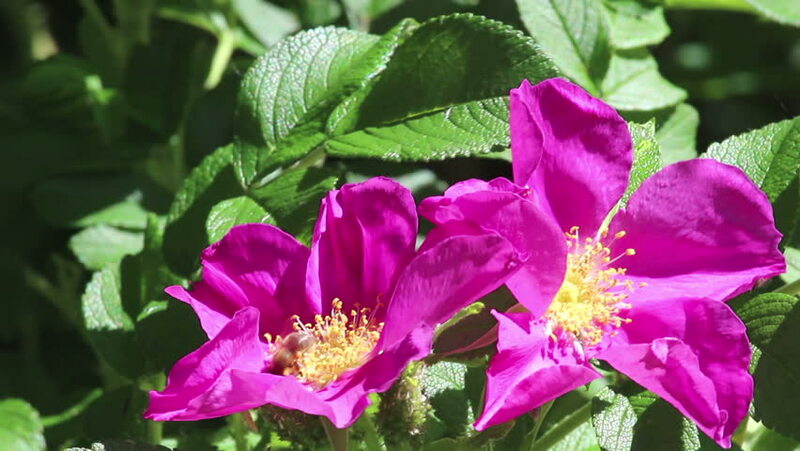 Two purple flowers of dog-rose and bee on light breeze on green foliage background on light wind. Close-up. HD 1080p.